At The Big Carrot we believe that organic agriculture is the solution to a sustainable future. We value organics because we believe it is better for people, better for farmers, better for animals, and the planet. What is organic? “Organic agriculture is a production system that sustains the health of soils, ecosystems and people”. Its main goal is to develop systems that are truly sustainable and work in harmony with the environment. Organic farmers around the world share foundational principles such as promoting and maintaining soil fertility and biological diversity; the respect and care for livestock based on their natural behaviors; as well as a prohibition of genetic engineering (GMO). We often think of organic in terms of what it prohibits: no synthetic pesticides, no fungicides, no fossil fuel fertilizer, synthetic growth hormones or routine use of antibiotics, no GMOs or Nanotechnology- and that’s a mighty list. But organic is also so much more- Organic is really about what it promotes: it promotes soil fertility, clean air and water, biodiversity and animal welfare. It also promotes a truly transparent and traceable food system. 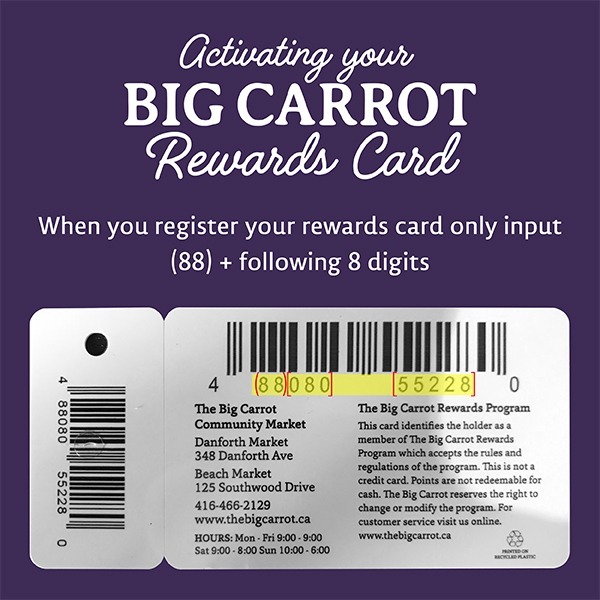 At the Big Carrot, we are committed to organic agriculture. Our produce department is 100% organic and wild. In the last 10 years we’ve donated over a million dollars to organic farms, organizations and education events. Are organic products pesticide free? The best way to reduce our exposure to chemical residue is to choose organic products. Sadly, chemical agriculture already contaminates much of our soil and water and these residues can sometimes show up in our food, even organic food. It is important to remember Organic greatly reduces our exposure to harmful chemicals and provides a solution to this chemical legacy. Every organic standard in the world prohibits the use of GMOs. The price of organic food reflects the full cost of making it. Unfortunately, that is not true of conventional food. Organic farming relies more on labour and less on chemicals to fertilize the land and deal with pests. When you choose organics you can feel confident you are paying for the special care organic farmers place on protecting the environment, improving animal welfare, as well as supporting a fully traceable and transparent food system that a third party certification offers. Click here for the 2015 Organic Week insert in the Globe and Mail!